Address: 1527 Sir Walter Rd. 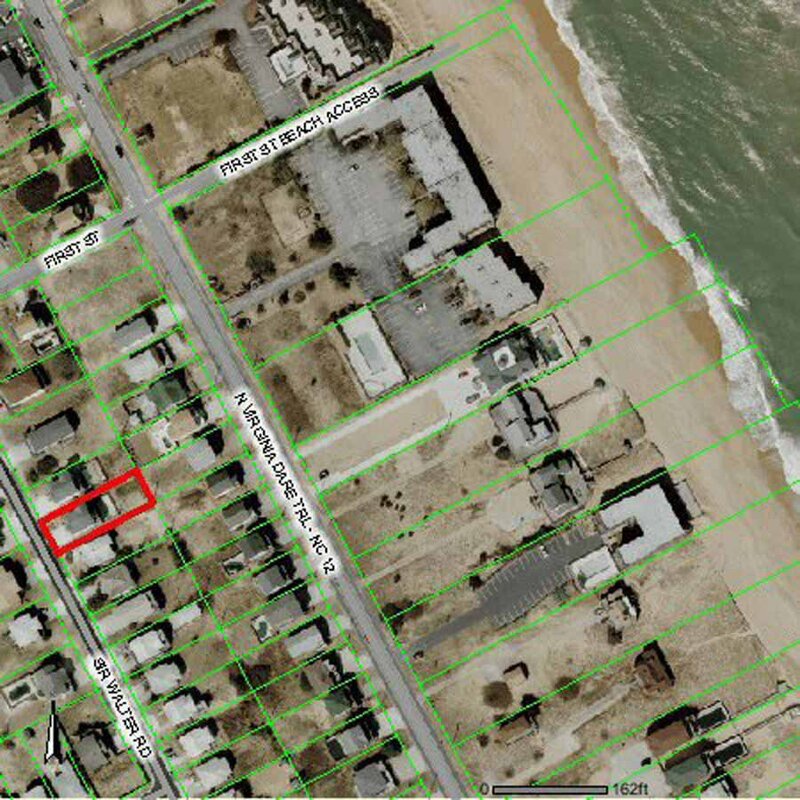 This Lovely Kill Devil Hills Beach Home Offers a Great Location on a Quiet Street & is Within Easy Walking Distance of the Ocean (450 Ft.)! You can Spend the Day Lounging in Your Own 12 X 26 Private Swimming Pool or relax in the Hot Tub! This Home has been Professionally Decorated, is Absolutely Beautiful, & is a perfect, Affordable Vacation Destination for your Family! Ground Level: Parking for 4 Cars, Covered Entry, Den w/CATV, Wet Bar w/Mini-Refrigerator, Microwave, Half Bath, Access to Patio Area, Private Swimming Pool, Park Grill, & Enclosed Outside Shower. Mid Level: 3 Master Suites (1 w/King, 1 w/Queen & 1 w/Duo Bunk), 3 Full Baths, & 2 Covered Decks (1 Overlooking Pool Area w/Hot Tub). Top Floor: Living/Dining/Kitchen Area, Hardwood Floors, Gas Fireplace, Bedroom w/King, Full Bath, Sun Deck w/Picnic Table, & Views of Ocean & Wright Brothers Memorial. Features include: C/AC & Heat, Washer/Dryer, Dishwasher, 2 Microwaves, Phone, CATV, VCR, DVD, Wireless Internet, & Deck & Pool Furniture. No Pets. This is a Non-Smoking Unit. By far the nicest most well equipped house we have ever rented! We loved all of the amenities, nicely equipped kitchen, and the house was amazing! Thank you for the fully stocked home! So convenient! It was a wonderful surprise by the amount of beach chairs, umbrella and carts provided. I wish all rentals were so considerate. We were very pleased with our experience. Excellent place to stay. Very beautifully decorated. Very clean. Everything you could imagine a family would need in a home is provided for. Very close to the beach. I would highly recommend this place as your vacation home away from home. This is a beautiful home and for the most part well maintained. The kitchen was well equipped and we fixed many meals there. Loved the large table as well. Also very appreciative for all the baby seats and gates.